Get the look of designer diamond jewellery for less with this east-west ring from our Diamonique by Joseph Esposito collection. This sterling silver ring features an emerald cushion-cut simulated champagne diamond, claw-set in an east-west arrangement across the head of the design. 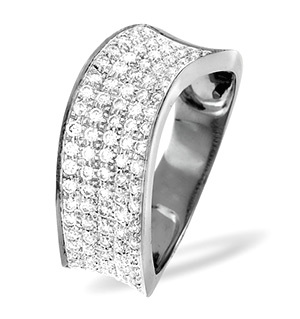 It's accented with a total of 54 round-cut simulated white diamonds for amazing sparkle. 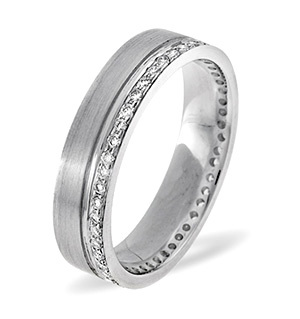 The head of the ring measures about 10mm x 16.5mm, and tapers back to an elegant 3mm shank. Total equivalent diamond weight: 6 carats. Platinum Overlay S S Paraibe Apatite,White Topaz and Diamond Ring 1.94 Ct.